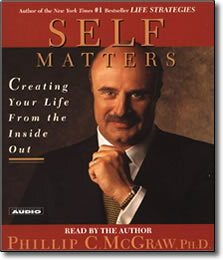 In this groundbreaking work, Dr. Phil challenges you to find your “authentic self” — that person you have always wanted to be, but were too distracted, busy, or scared to become. Instead, you have created a “fictional self” — taking on the identity of who you believe you are supposed be. The incongruence between these two selves is what leads you to feel that your life is incomplete, unbalanced, and more difficult than it should be.